We have bought an individual tour to the Cotopaxi National park through Mallku Expedition - Cotopaxi - the world's highest active volcano. 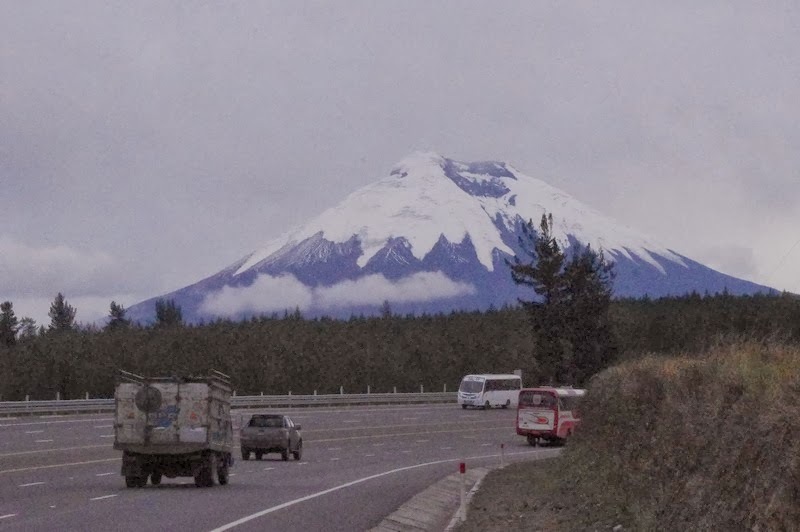 See the short video from Cotopaxi National Park. At 8:30AM we were picked up by the guide. Through Quito's throng of traffic, we drove south and turned off the main road and came to Ecuador's most beautiful national park which besides the volcano also includes the surrounding areas. In a village (700 inhabitants) at the foot of the volcano, we were joined by a local guide . On the trip until now the guide told us about both Ecuador, Quito and the volcanoes and their origin. Immediately after we had driven into the national park, the road to a dirt road (lava gravel). We made a stop at a small local cafe where we got a hot tea brewed on coca leaf (containing cocaine?) and added a lot of sugar, which would make it easier for us to stay in the thin oxygen-depleted air here nearly 4000 m above sea level. We continued through the national park and stopped at a lake formed by meltwater from snow-covered volcano . Here we went around the lake about 2.6 km . We could feel the thin air , but felt no more discomfort than we were a little out of breath. Then we proceeded by car through the countryside with very sparse vegetation. 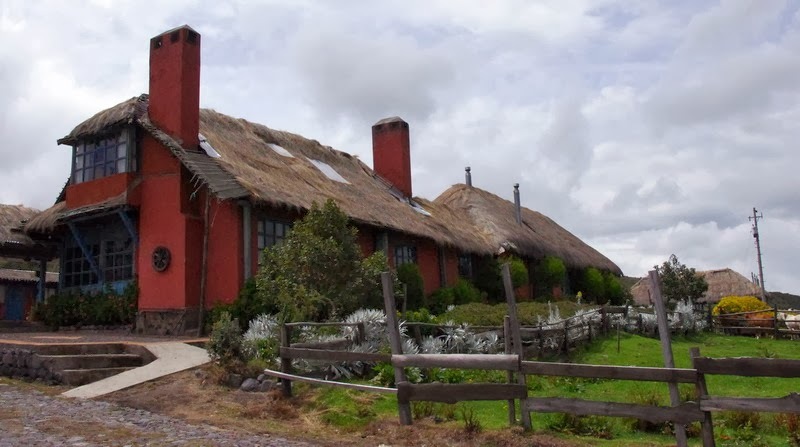 On the slopes of Rumiñahui Volcano, in a truly privileged position, Hacienda El Porvenir is the ideal spot from which to explore Cotopaxi where we stopped for lunch. First, a local hot welcome drink with ginger and ' firewater ' and roasted corn, for starters a soup of quinoia and potatoes for the main course grilled pork with potatoes and vegetables, and for dessert a local fruit cooked in a sukkerlagers with cinnamon. A meal quite like eating it in Ecuador. After that we went back to Quito - first on rocky and cobbled roads before we reached the main road. We arrived at the hotel at 3PM - a bit earlier than planned , but it was due to traffic was not particularly heavy today. Cotopaxi is a stratovolcano in the Andes Mountains, located about 28 km south of Quito. With a height of 5,897 m, it is the second highest mountain in Ecuador and it is one of the highest active volcanoes in the world. Cotopaxi is one of the few volcanoes covered by snow making it extra dangerous when erupting. Since 1738, the Cotopaxi erupted more than 50 times, which has resulted in numerous valleys formed by mudslides around the volcano.